We really like bananas here. They're pretty inexpensive compared to some other fruits and all three of my kids like eating them. Like most kids, my three also really like ice cream. So when I saw a cooking segment on the Today show last spring showing how you can make "ice cream" from frozen bananas, I was all over it. We made it several times last year and just made our first batch of the summer this weekend. It's really yummy and hard to believe you can get the creamy texture of ice cream from only bananas. 1. Get some bananas. We used several "extra ripe" ones that I found marked down at the produce market, but any ripe bananas will work. 2. Peel the bananas, cut them into approx. 1/2" slices, and put them on a tray. 3. Pop the tray in the freezer for a few hours until the bananas are frozen. (Once they're frozen, you can also put them in a bag to use later). I realize these two photos look the same, but take my word, these are the frozen ones. 5. Start mixing. First the bananas will just get chopped up. 6. But as you keep mixing and scraping down the sides, it'll get creamier and creamier. I swear I didn't add anything else ~ this is just bananas! 7. You can eat it right now, just out of the blender/food processor, and it'll be like a soft serve custard. My girls liked it soft-serve. 8. Or you could put the mixture back in the freezer where it will get harder and more scoopable like regular ice cream. You can also mix in other ingredients when it's in the soft-serve state ~ we like to add in peanut butter, chocolate chips or chopped nuts - YUMMY!! NOTE: We just use our blender or food processor to make our banana ice cream and although it takes a little bit of time and a decent amount of scraping down the sides, it works well for us. However, my daughter was recently at a friend's house and her mom made the same banana ice cream using this Yonanas Ice Cream Maker. I wasn't there to test it out or use it myself, but the mom said it was really easy to use and worked really quickly. I think if you try this out, like it and want to make it often, a machine specifically designed to work on frozen fruit might come in handy. Thanks for the recipe. I would do this at home. My baby is so picky, she doesnt want to eat any other food just bananas. This would really be great for her cause she loves when I froze her food. We tried this last summer and loved it. I love the tip to try peanut butter -- yum! This is so cool! I saw a gadget you can use to make this but I was thinking I should try it without spending $60 first. It's great to know it will work in my blender! This is fun! I'm going to have to try this with my daughter- she's allergic to dairy and can't have ice cream. She also hates fruit, but I think I can trick her with this. :) LOL! Great idea. We were in Mali where bananas are readily available-- but ice cream is "way expensive". WOuld it also work with peaches? My mum used to make this for us when we were small. I think she used buttermilk too. I am making this--right now. Well, not right now but as soon as I can freeze the over ripe bananas sitting on my counter! Thanks!! Sounds so yummy and easy! Thanks for the recipe! 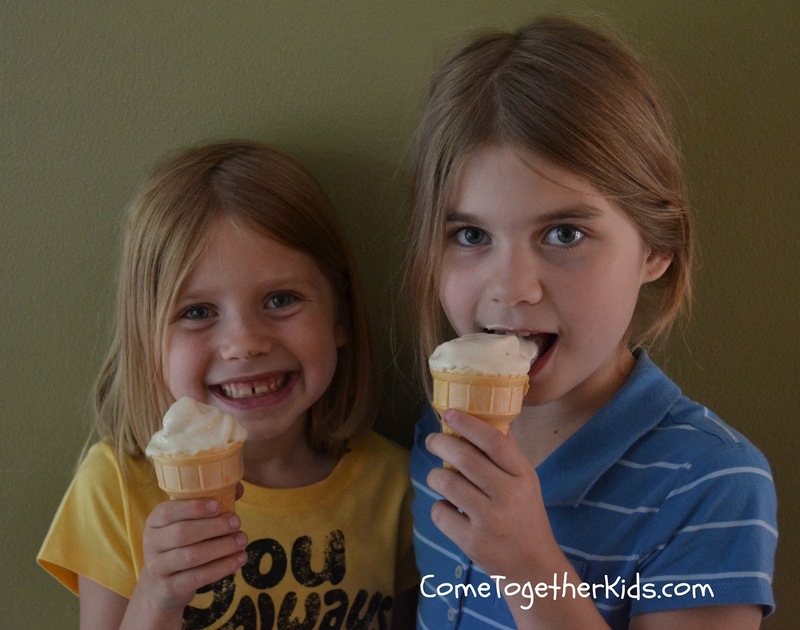 What a fabulous dessert for kids (and me!) We make frozen bananas dipped in chocolate but this is even better, my almost 1 year old could join in sharing this one with us. I'm going to try it next time my bananas get a little over ripe. here is a quick tip to help those that dont have ripe bananas. take the unripe bananas & put them in the oven at 350 until soft. depending on how big they are and how many you are heating it can take anywhere from 15 min to an hour. either way you have your ripe bananas to make the icecream with. hope this helps. enjoy & good luck. works great for making banana bread too. That's awesome! Totally trying it. I am nominating you for the "versitile blogger award"...So now, please post about 15 blogs that you love! This looks like such an easy yummy treat for a hot day. Thank you! Oh my gosh I'm so trying to make this!!! I only have a smoothie blender so I'm going to have to borrow my moms blender maybe. This is great!!! I'm definitely going to do this! Thank you for sharing!! :) Love your site! 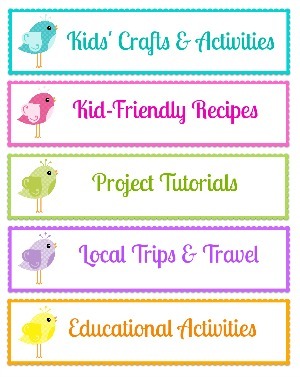 I will be pinning this on my blog for Oh So Pinteresting! Wednesday. Looks delish! Thanks for sharing! Oh and you have a new follower! 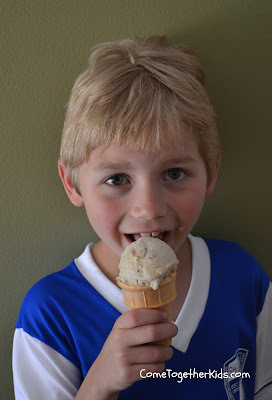 My little brother is allergic to dairy and soy ice cream can be pretty expensive! I made this for him today and he was in heaven!! Such a great idea!! I love the frozen treats you come up with! Can't wait for my bananas to go bad so I can make some. lol Last summer I did the cake & ice cream sandwhiches and they were a big hit. please check reply to Alyssa May 2012 posting (above) for help with unripe bananas. Enjoy! Thank you so much. This is wonderful and will be great for me with Dairy and Egg allergies and gluten intolerance. I happen to love bananas too. WHAT? I don't even believe this is real life but I must try this... but I still don't even believe it. LOL!!!!! Um wow! This looks delicious! I'm wondering how many bananas I would need to make enough for my family of 4, but I guess I'll get to experimenting. Thanks for the tutorial! Shondra, they are delicious! I can tell you that each fairly-large banana makes about enough for one good-sized cone, so you can roughly figure one banana per person. Of course, having some extra is good too, especially if you're going for the regular ice cream consistency and sticking it back in the freezer anyway. That's amazing. Who would have thought it would be that simple! My daughter refuses to eat bananas, so I'll definitely have to try this and see if she can say no to ice cream! Yes, you all definitely have to try it. In the event that your kids are still a little hesitant, add in a little bit of chocolate and I'm sure you'll have a winner! Your ideas are so cute!! This looks so good, must try! This looks delicious! Would I have to thaw out the bananas a little before putting them in to the blender, or should they be very frozen? Is there a reason you freeze before blending? Could you blend first and then freeze? Yes, I think it's pretty sweet. Really, it'll be as sweet as the bananas you use. You can add a little extra sweetener if you like. I'm not quite sure why you freeze first, it's just how I remember it being done when I first heard about it. I'm thinking though that it might help make it a little creamier and airy-er. If you blend regular bananas I think they'd be a little more dense and even brown some before they have a chance to freeze up. one other wonderful additive is vanilla flavored almond milk. Not much, just enough to fluff it up before you freeze it if you cream the bananas before freezing. adds a refreshing wonderful taste & helps with the stickiness. Good Luck & thanks for the awesome receipe. Wow! I just found your idea on Pinterest! I can't wait to try it! I keep trying to letny bananas ripen and my little one keeps eating them up too quickly!!! ;) I may have to hide them somewhere lol. This sounds so good. This isn't just good for kids. It's just plain good for ANYBODY! I make this and serve a blob of it on top of warm brownies. Just about heaven on a plate. Just made this and AWESOME ! I wasn't really sure it was going to work - it seemed like FOREVER of stopping and scrapping (I used a food processor) and then, like a small beacon of hope, it finally turned and we had ice cream ! We then tossed in choc chips, whole strawberries and blended it and just before we put it in the container, folded in some raspberries. Thank you so much for the recipe :)!! Wow! I have to try this. On weight watchers and fruits are zero points!! Genius! Thank you for your awesome post! My 7 year old made this today in our Vitamix and it was heavenly! This will work with most soft fruits. Banana can be used as a base with others like raspberries added for a ripple effect. I first saw this done on a stall at a fair a few years ago... I couldn't believe I could have icecream at last! Appreciate the tip re. cutting up the bananas first - I usually just break them into 3 or so pieces and they tend to be a little large for the blender. Another tip is to allow the banana to defrost for a few minutes to soften. It will still refreeze as it blends. Also a stick blend works well with the banana in a jug. We like to stir in a little Nutella. SO yummy. I'm in love with this idea. So easy and yummy! Perfect for summer. 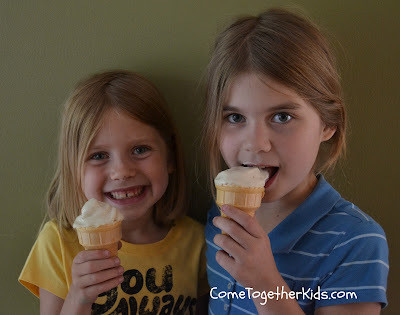 I'd love it if you would consider sharing it with our Summer Recipes linky party. We're two blogs sharing one combined linky party for double exposure. Lately my daughter has been obsessed with getting an ice cream maker so I have been working on ways to make homemade ice cream in order to avoid purchasing (wasting money on) another thing to take up space in our apartment that will only get used one or two times! This one is a winner. So much so that I am thinking about permanently replacing ice cream with this in our household. I used a blender and had to add a little milk to help it blend. I may need to invest in a food processor. Wait, what was that I said about wasting money? HA! I made this with my kids and my daycare kids today (ages 2, 3, 5 & 5) and, oh boy! They loved it, and were amazed that it was just bananas! After we tried it, then we blended in some strawberries - YUM! I don't eat much ice cream, but this I could eat all the time...in fact I just ate some of the plain banana ice cream atop Chocolate Chip Buttermilk Pancake Baked Oatmeal (http://www.healthyfoodforliving.com/?p=32971) D-LISH! Thank you for sharing! I tried this tonight and was so bummed that it didn't turn out. I'm not sure where I went wrong. About how long does it need to be in the blender? I think mine was in there probably about 15 minutes or more, which seemed like forever and all I got was a container full of banana soup :) I went ahead and put it in a container and stuck it in the freezer cause I just wasn't sure what to do with it. Any suggestions or help???? Oh no, Christina. It sounds like the bananas had a chance to thaw too much before they were blended. I'm guessing mine were in the blender for under 5 minutes, and much of that time the blender was actually off and I was scraping down the sides. I'd suggest blending for maybe 20-30 seconds, stop and scrape down the sides, blending a little bit again, scrape again, and so on. Hope this helps. I made this the other day. It worked out great! Add a little peanut butter and a splash of milk. Next time adding more peanut butter. I just made this for my grandkids and they loved it! they said I make the best Icecream in the world and asked for more, I didn't have a problem giving seconds on this great snack! It was a little messy, "but hey isn't that what summer and the backyard is all about". I just made this, and it is wonderful. I also made it with kiwi. This is going to save my summer, as I am off sugar. I think it will be great with almost any kind of fruit. SOooo delicious! I added a link of this to my own blog and highly recommend. It worked like a charm! Maybe 5 minutes total (except for the freezing part obviously). I was amazed and didn't add or mix anything. Now, I'm really allergic to bananas so eating three of them for dessert probably wasn't smart even if it is in ice cream form but it was too good to stop! Haha. You just need to keep them in the freezer until the slices are hard and frozen. Depending on you freezer, I 'd say at least an hour or so. So if you have a chance, check it out! I made sure to link back to your page so that everyone can come visit your site! We used to do this with leftover baby food, just about any fruit will work, some will be more like sherbert though. And you can "pre" grind it all before freezing if it makes your life easier, I use a rice mill. We just tried this and my girls loved it!!! it turned out great!! I don't think it would work with any other fruit, it's the texture of bananas, right? Thanks for the great ideas!! Wow! Thank you so much for sharing this! I'll definitely give this a try ;). Hope you're having a great week! awesome! now I don't have to throw the bananas out. My kids don't like them when they are that ripe. I have two just for this recipe. My kids loved it! I blogged about it here: http://notverydomestic.blogspot.com/2012/06/pinteresting-banana-ice-cream.html and linked back to your site. Just tried this the other day. I loved it and my 2yr old didn't know the difference. He ate it while he was home sick. 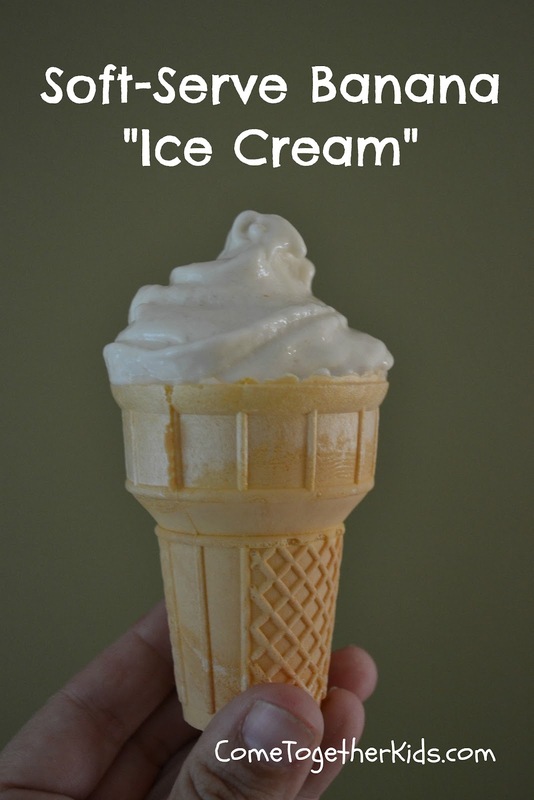 I added a few drops of vanilla extract to give it a more realistic ice cream flavor. And for mine, I threw a few frozen blueberries in. It was delish! Thanks so much for posting. We do this all the time, but add a tablespoon of unsweetened cocoa powder and a tsp or two of vanilla extract; the calorie count doesn't change at all and it's DELISH!!!! It also works great if you put a whole frozen banana through a champion juicer. Instant ice cream! Wow, I am completely amazed that this actually works! So stinkin' healthy and delicious! I made it just now and put it in cones for my 4 & 8 year old boys and they devoured it! Not a clue that it is ONLY bananas. I put my portion in a bowl and added some homemade 'magic shell'(coconut butter, cocoa powder and maple syrup)and it was perfect. Thanks for the summer treat! Having this tonight. It was too thick for my little blender, so the hubs added some pineapple juice to thin it a little. So yummy! Thank you for sharing! Fab! You rock. Love it. Emailing the link to my hubby right now to get on it! We make this all the time in our Thermomix, takes half a minute and is delicious ! I just got back from the store but we live a block from a grocery store and I think I am going to walk down and get some banana's and try it! Can you add other things to make a combo flavor? Like strawberries for strawberry/banana? Penni, definitely you can add in other stuff! Lots of people have said they like to add a bit of cocoa powder, I sometimes add peanut butter and chocolate chips. Strawberries would be yummy too. Just keep in mind that it's the bananas that give it the creamy ice cream texture, so make sure the majority of your mixture is bananas. this recipe has changed my life!!!!! for the better , of course!! After you've blended it, how long can you keep it in the freezer for? Can you leave it in there for a few days or does it get all iced over & hard? I am looking at this in true amazement!!! This looks so good, and it's good for you! I can't wait to try this with my kids. Great Demonstration I love it! Thanks for sharing! My son and I loved this! We did some add ins as you suggested and it was so good. We are getting Nanners in bulk and I plan on making 4 kinds tonight to freeze for the next few weeks. We are going to make coffe, green tea, french vanilla, and chocolate. Can't wait! Does anyone know if a hand blender can be used? Our regular blender broke and I wanted to try making this tonight for the kids. I made this with my healthy cooking class, and it was a complete success! Patience is a key word - in my Ninja, it took about 4 minutes to get creamy, five if I overfilled the container. It didn't take half that long for it to get eaten up! Positively divine, it is now a staple of many households. Kudos! Can't wait for more posts. Hey there! Just wanted to let you know we featured you in our Favorite Find Fridays post over at Whimsically Homemade. We used one of your pictures and linked back to you. If that's a problem let us know and we'll remove it immediately. Thanks for your great inspiration! This would be great for adult diabetics too!! Thanks! I just made this with my kids and they love it! Thank you so much! Thanks for sharing! I am so glad that I found your idea on Pinterest, it is my go-to recipe for a late night snack. Even as a college student, I can appreciate this easy, cost-friendly, and healthy snack. It is great when you don't want to waste your calories on late-night "bored" eating. I also like putting a scoop between two graham crackers for a little something different! I love this idea. 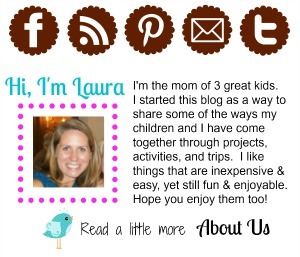 I have linked you into my own blog. Thank you. Dying to try this with my kiddos! And frankly for me too. Love a yummy and healthy alternative to most snacks! The yonanas is great! You can use it with strawberries and a bunch of other fruit. 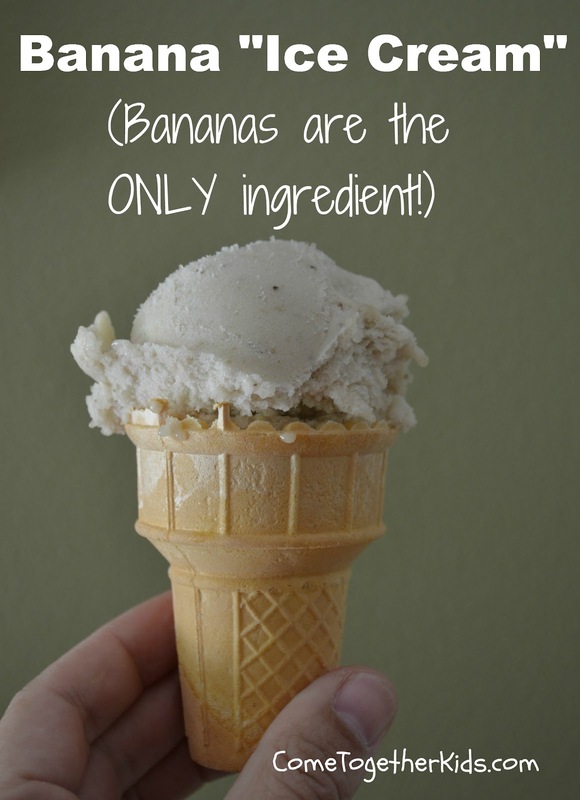 I started making banana ice cream a few years ago and it was fun! And now that the yonanas came out, it is much easier! I love adding nuts and when I want to splurge, mini marshmallows like a banana rocky road ice cream. We made this a few weeks ago. Thanks for sharing. 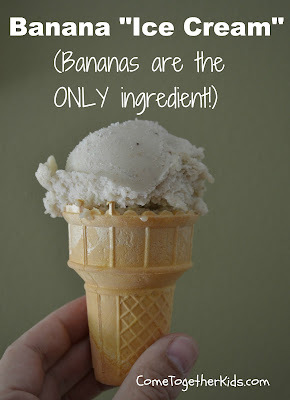 I shared the recipe on my blog and linked you here http://www.nicoleiskeepingitsimple.blogspot.com/2013/07/banana-ice-cream-one-ingredient.html. Let me know if that is okay. Thanks. I make this all the time in my Vitamix! 2 frozen bananas (halved) and one ripe banana (halved). Put them in, turn it on, 20 seconds later you've got delicious banana ice cream! I drizzle mine with dark chocolate! I just made this and added some vanilla to give it more of a regular ice cream taste and it's really good! Making this was kind of a pain. I started with the food processor because you said it would be easier. Ours is small and after a few min. the motor started to smell. I didn't want to burn it out so I went to the blender. The blender was better but not much. I think we have a cheap blender. We used to have a Vitamix and that would have made it just like your picture showed. This didn't but it was close enough. It took a lot of time for it to even mix! However, when it was done and mom tasted it, she said she liked it! We added P.B. chips to my mom's. The best part about this was my dad can eat this! He's on a feeding tube but he can eat things that are soft. I let him taste it and he really liked it and he ate it without coughing! He said it was cold but he said tomorrow he will eat some. Even though it was kind of a pain to make, I was so glad I made it. My dad needs to keep putting on weight and if he can eat this, I will get more rotten bananas and make this for him! Beautiful ice cream. My great grandma always made homemade ice cream. I need to try them. Awesome and interesting article. Great things you've always shared with us. Thanks.Just continue composing such informative posts. Good Articel and so Important topic in this page. This is really interesting, You're a very skilled blogger. Nice Post, and good Information for this site. Thanks for shared!! Awesome Look forward to hearing more of your wisdom soon! Thanks. page. Im really impressed by your site. Wow, this article is blow my mind! Thank you for writing it! It was really a great information thanks for sharing. I am looking for sites with useful information and well crafted article. Your write-ups about motivation are excellent with deep information and perception. Also the discussion with readers is vital. We will await the new blogpost. Many thanks. Thanks for sharing useful information. Excellent Post, thanks for sharing. I am trying to find blogs and websites with useful information and well written article. Your articles about motivation are great with deep insight. Also the interaction with readers is very important. We will wait for the new blogpost. Thank you. I want to try this recipe, will tell my wife to make it later at home, thank you.